Poor literacy is a real barrier to an independent and fulfilling life. Homeless and socially excluded people have to cope with many obstacles that hold them back and sap their confidence. For many people supported by Thames Reach, poor literacy is a real barrier to an independent and fulfilling life. To help people tackle the seemingly overwhelming task of gaining those vital literacy skills, Thames Reach runs a number of programmes that are sensitive to the service users’ struggles and make a practical difference to their daily lives. A group of experienced volunteers with teaching qualifications focuses on tailored one-to-one support to service users with poor reading and writing skills. The teaching sessions, delivered over an eight-week period, are informal, but structured to meet the particular needs of the individual. Specialist dyslexia support is also available. 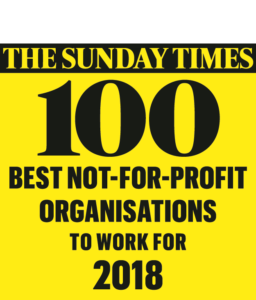 Sessions take place at Thames Reach’s Hudson House in Stockwell and the Employment Academy in Camberwell, and referrals are made by the Employment and Skills team. Thames Reach has entered into partnership with the National Theatre to run a series of workshops and rehearsals that help build confidence, improve speaking and listening skills and empower participants to express themselves. For many, this is a way to become engaged with learning and a first step toward structured literacy programmes. Public Acts sees Thames Reach join six London-based community organisations to empower service users through the act of creating theatre together. It culminates in a brand new musical production of Shakespeare’s Pericles on the National Theatre’s Olivier Stage in 2018. Every week, people get together in a friendly and relaxed setting to read short stories and poetry together and engage in conversation about it. Led by a Thames Reach staff member, the group offers the opportunity for people to read aloud, make new friends, develop social skills and improve their confidence. The reading group is open to the public and meets every Friday 10:30am-12pm at the Employment Academy. 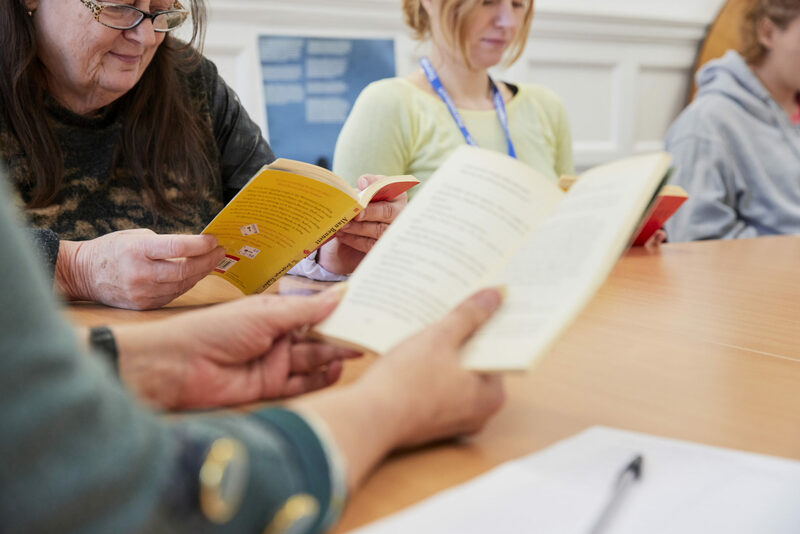 In the Reading Buddies programme, people wishing to improve their reading at their own pace and over an extended period of time are paired up with trained volunteers to help them build their skills and confidence. Sessions run weekly at the Employment Academy or Thames Reach hostels and day centres.